Water is essential to a healthy lawn and landscape. We can install an irrigation system on your property that will work to provide an even and timely distribution of water to your yard. Our crews are trained and have installed systems in large commercial and residential environments. You can also sign up for our Automatic Services and have our irrigation technicians make sure your plants get the water they need during our hot summer months. Fill out our request form and let us give you an estimate today! Turfmaster is a Rain Bird Select Contractor.  Rain Bird is the top name in irrigation supplies and Select Contractors are part of a network of independently owned and operated irrigation contractors that have been chosen by Rain Bird and are considered the best in the business. 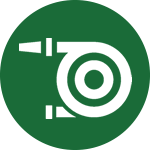 Turfmaster must attend continuing education classes to maintain the Select Contractor status and has trained irrigation technicians through the Rain Bird Factory Trained program. You can be assured that Turfmaster will provide you with the best quality and most water efficient products on the market today.